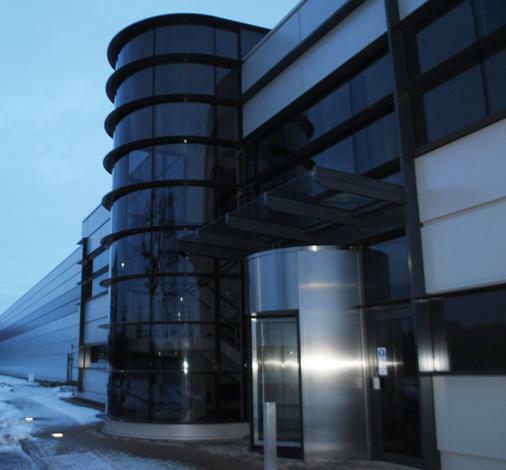 We have designed facade studs for hotels, schools, offices and police stations. Designs are to SCI (Steel Construction Institute) and FIS (Finishes and Interiors Sector – Trade Body for Light Gauge Steel) Guide ED017 for Facade Design. 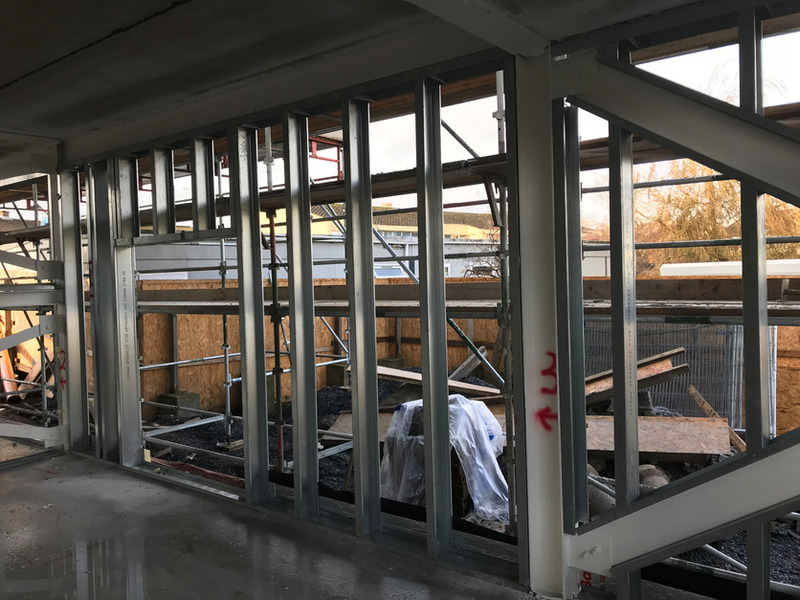 Our sister company, Modern Engineered Software Solutions sell an add in for Tedds by Trimble that allows users to readily design facade studs in moments accounting for openings, floor to floor height, standardised stud spacing and wind. Modern Engineered Software Solutions also sell Breve to allow designers and engineers to accurately calculate the wind load in the UK and Ireland to both British and European Standards in Tedds and Excel. 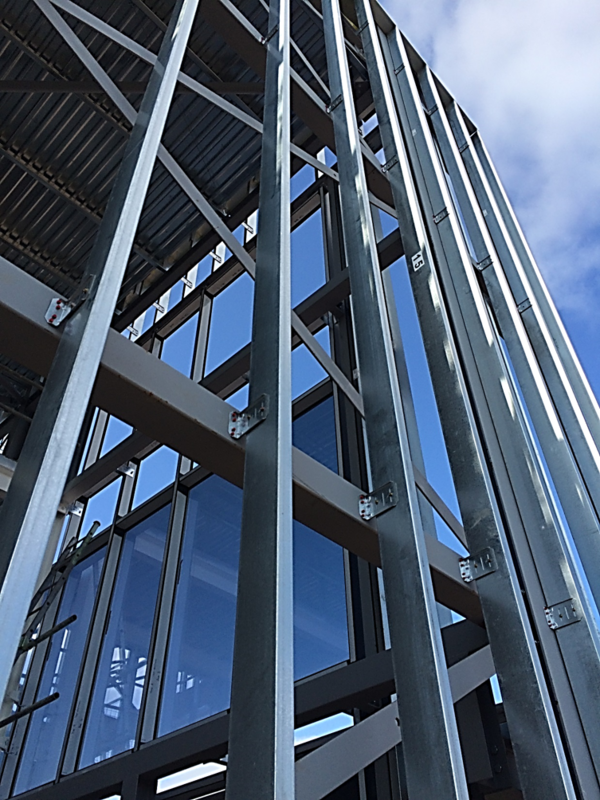 We also design brackets and accessories between the facade studs and the actual facade in aluminium or steel as appropriate. 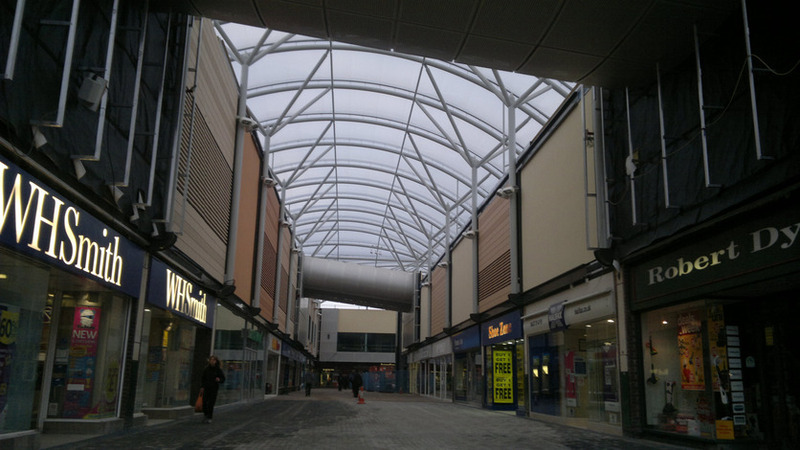 In fact we engineer all aspects of facade and work for clients such as Stanmore Contractors, CA Group, Etex, M & C Roofing Contractors Ltd and EOS Facades to name a few. 200mm deep studs used to make boarding easier at clients request.